Many medicines are available in a variety of strengths. This allows the prescriber to personalize the dosage according to the patient's condition. Unfortunately, mistakes can happen that lead to consumers taking the wrong dose. A dose that is too high may cause harm. A dose that is too low may not have the desired effect. 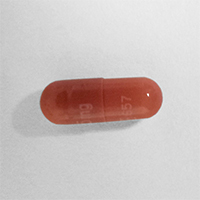 SafeMedicationUse.ca has received a report about a consumer who was prescribed tacrolimus and the dose was one 0.5 mg capsule to be taken twice daily. This medicine is used after organ transplantation to prevent rejection. It is also used to treat rheumatoid arthritis. The consumer picked up the prescription for tacrolimus at the pharmacy and took it for 4 weeks. Over this period, the consumer began to feel worse and lost a lot of weight. The consumer noticed that the capsules looked different from those of a previous prescription, but continued to take the medicine. During a follow-up visit with a doctor, it was discovered that the pharmacy had dispensed the incorrect strength of tacrolimus. Even though the label on the prescription vial stated the strength as 0.5 mg, the vial actually contained 5 mg capsules (see Figure 1). The consumer was taking 10 times the amount of medicine that the doctor had prescribed. Although it is not known what caused this particular incident, 10-fold errors can be the result of calculation mistakes. They can also occur when different strengths of the same product look similar. Be aware that this type of error is possible. Before getting your prescription filled, review the details with your prescriber. Take note of the medicine, strength and dose that have been prescribed for you. Add this information to your list of medicines. Check your prescription before you leave the pharmacy. If there are any changes that you did not expect, speak with a member of the pharmacy staff. Do not be afraid to speak up if there is any confusion or uncertainty. Be familiar with the appearance of any medicines that you take regularly. If something looks different from what you were expecting, speak with a member of the pharmacy staff or another healthcare provider before taking any doses. Contact a healthcare provider if you are reacting differently to a medicine that you have been taking for a period of time. Always go to see your doctor if you experience sudden changes in your health status, whether or not you think they might be related to your medicines. For more information on how to check your prescription, see our newsletter Reminder - Check Your Prescription! Learn about the importance of speaking out from our newsletter It's Important to Speak Out! Learn about different ways to understand the labels of your medicines from our newsletter Many Medicines Look Alike - Always Read the Label! Take steps to reduce the risk of errors with medicines that are available in strengths that differ by a factor of 10 (e.g., 5 mg versus 0.5 mg). This could include use of computer alerts, addition of warning labels, and storing the products in different locations. Verify the product appearance as well as the Drug Identification Number when dispensing and checking prescriptions. Create a long-term medication safety plan that includes use of automated checks, such as bar coding. When talking with consumers about appropriate use of their medicines, open the prescription containers and review the product appearance with the consumer. Be aware that inappropriate placement of a zero can lead to a 10-fold error. For more information, see ISMP Canada's DO NOT USE Dangerous Abbreviations, Symbols and Dose Designations.